Thank you for considering Your Pool Builder of Texas to be your Local Porter residential swimming pool contractor. We know this is an important home investment decision so we are privileged to be given the opportunity to tell you our story and show you how swimming pools and spas should be built the right way and at affordable prices! 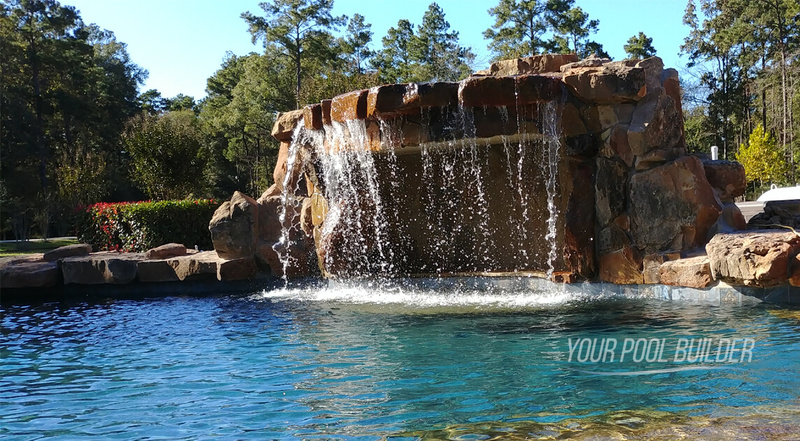 With Decades of pool building experience, we have the expertise and skills required to create what you envision into your ideal backyard oasis. Did we mention that we help you after the pool is built with ongoing pool services? There is a lot more to the process than the construction of the pool. It’s a relationship and we make sure that our staff is there from start, during and after the construction process to inform and instruct you, Pool School as we call it. We take great pride in not only listening to your current needs and wishes, but also in adapting those desires into a serviceable and functional outdoor environment. We provide high-quality in-ground custom swimming pool construction and renovation services. Our professionals have extensive experience in design and engineering, so you can be confident in our construction expertise. We understand your need for personalized service and can customize the pool to be a perfect fit for your outdoor environment. Our custom pools have been installed in all types of variations and yard sizes. Swimming pools come in all shapes and sizes with many customization features and accessories. We say up to date with the latest trends and products to give you a truly unique backyard experience. Your Pool Builder of Texas is a high-quality custom pool contractor that provides pool services to our fellow Texans. Our professionals have extensive experience in design and engineering, so you can be confident in our construction expertise. We understand your need for personalized service and can customize the pool to be a perfect fit for your outdoor environment. Our custom pools have been installed in all types of variations and yard sizes. Choose a geometric shape or plan a natural design to fit your landscape. Add creative and atmospheric features such as a spa, waterfall, or custom lighting, water features, and more. Including the latest technology for wireless automation control and LED lighting. If you can imagine it, we can build it. Your Pool Builder specializes in amazing features like beach entry, vanishing edges, and mosaic walls. We also serve the areas around Porter including our pool contractors in Kingwood Texas. Let us show you how we have repaired old tile, replaced worn equipment, and upgraded design features for less than the cost of a brand-new swimming pool installation. We can also assist you in planning landscaping features to enhance your design. Your number one choice in pool remodeling services. Not only do we make your pool look brand new again, we also help with the total backyard design experience. Transform your backyard and enhance your pool area with custom built outdoor comforts. pool builder specializing in custom inground gunite swimming pool construction and remodeling services in around and near Porter, TX and Conroe, TX areas 77365 77385. "Been to some other pool companies around the area, and even Kingwood and this company was by far the most knowledgeable and professional. So quick to respond and got the ball rolling strong and carried through great communication all the way to the end. A pool company I will call for my next project."